Just as an insignia is the mark of military rank, Insignia Steel cutting tools are the mark of a pro. 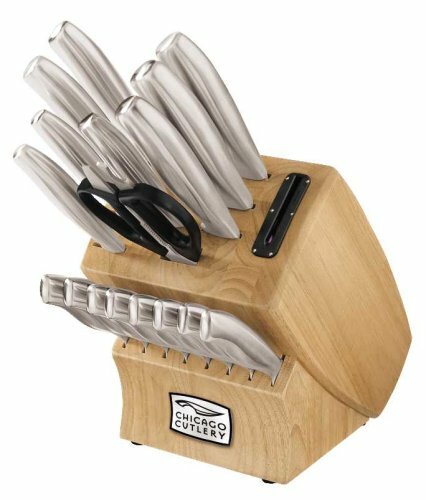 This 18-piece Chicago Cutlery knife set has the knives that professionals rely on for accurate, efficient food prep. 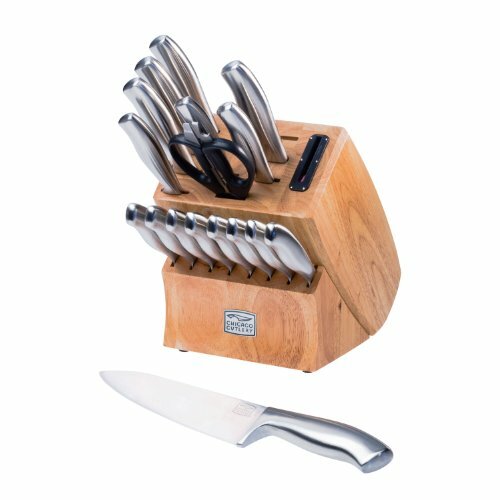 And, with a satin finish, the knives are pleasing to both the eye and the hand. This set makes a great gift, one that will be used regularly - not relegated to the back of the pantry. 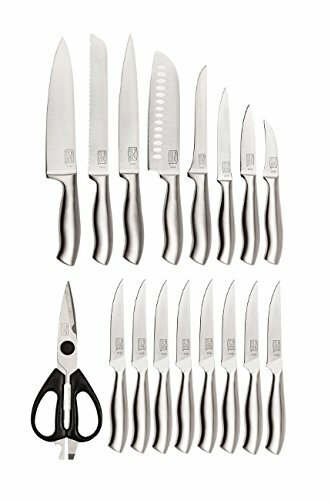 18-piece set includes 3" peeler, 3-1/4" parer, 6" boning, 5" utility, 8" serrated bread, 7" Santoku, 8" slicer, 8" chef, shears, eight 4-1/2" steak knives, block with in-block sharpener. 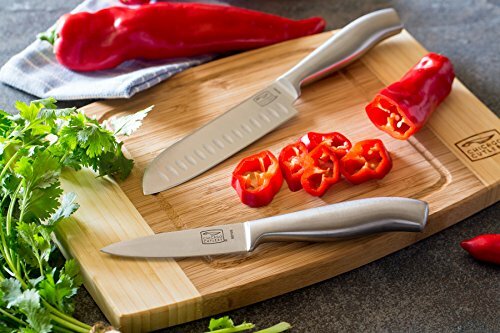 Professional high-carbon stainless steel forged blades with stainless steel handles.